Despite the fact that Eastern Europe and the Eastern Partnership (EaP) remain priority areas of Czech foreign policy, the Czech Republic has gradually shed its image as a major player with a clear stance and determination to be actively engaged in the region. With a lack of interest and inconsistent signals from the highest political echelons, activities continuing on an official level are becoming a matter of perfunctory routine and fall well short of Czech capabilities. The greatest achievement in relations with EaP countries in 2016 was the breakthrough in protracted negotiations on visa liberalisation with Ukraine and Georgia. However, the Czech Republic was not the driving force in this process, but more of an aloof supporter. Instead of ambitious visions and efforts to make better progress, 2016 turned out to be a year of minimalistic efforts to keep the EaP afloat. While the Czech Republic continued to declare its determination to contribute to the development of the eastern dimension of the European Neighbourhood Policy, individual positive steps failed to overturn the longer term trend in the gradually diminishing proactive approach towards this region. 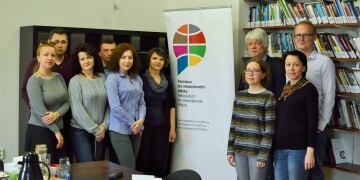 One of last year’s milestones was July 1, when the Association Agreement and the Deep and Comprehensive Free Trade Agreement with Georgia and Moldova entered into force. The provisional implementation of the trade part of the Association Agreement with Ukraine was also launched, which was positively reflected in reciprocal trade. Nevertheless, unless exporters are duly informed of the new opportunities and Czech companies are supported in these markets, there is an abiding risk that the Czech Republic will fail to profit fully from the potential offered by these agreements. There was continued support for administrative reforms at a local and regional level. Despite these activities, however, general awareness of the significance and benefits of the EaP remains limited both politically and among the general public at large. Differentiation within the EP progressed, along with efforts to adapt offers of cooperation to the needs of individual countries. In February, the Czech Republic supported the EU’s decision not to extend sanctions against Belarus. In June, Lubomír Zaorálek then became just the third EU Foreign Minister to visit Minsk following the lifting of sanctions. Emerging (primarily) economic cooperation should not, however, be an excuse to refrain from criticising unabating crackdowns by Lukashenko’s regime against the opposition. In the interests of swiftly completing the ratification of the Association Agreement with Ukraine, Czech diplomacy acceded to a compromised Dutch solution, uncoupling the direct link between associated status and entitlement to join the EU. An accommodating – albeit purely symbolic – step in this respect was a joint statement by V4 Prime Ministers ahead of the December European Council, in which they reaffirmed their support for the European aspirations of partner countries. The final negotiation of the “suspension mechanism”, the last major hurdle on the way to visa liberalisation with Ukraine and Georgia, was the only truly tangible progress achieved last year in relations with Eastern European countries. The Czech contribution to this process, however, was merely formal. Lyudmyla Tysyachna was AMO Project Assistant and Associate Fellow of AMO Research Center. 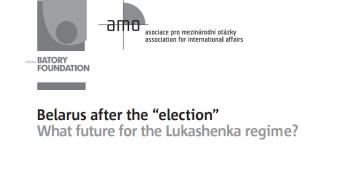 Belarus after the ”election”: What future for the Lukashenka regime?